Handmade Detroit | Punk Rock Rummage Sale returns to Flint! 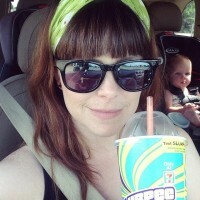 Punk Rock Rummage Sale returns to Flint! 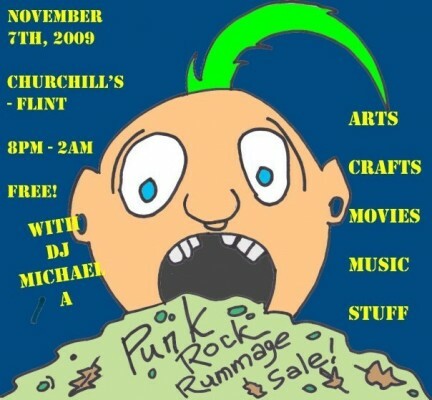 On Saturday, November 7th the PUNK ROCK RUMMAGE SALE will return to Churchill’s Pub in downtown Flint. Mixing punk rock music with an avant garde rummage sale, Churchill’s will be filled with vendors both local and regional selling everything from vintage clothes to vintage toys and almost everything in between. This is the second PUNK ROCK RUMMAGE sale and from the huge turn out of the first one, you won’t want to miss this night of free music and great deals. DJ Michael Absher will be spinning classic punk tunes while people from Flint to Detroit will be selling their art and rummage items and Churchill’s staff will be pouring the drinks. The PUNK ROCK RUMMAGE SALE is a free event and will run from 8pm – 2am. Are you having a punk rock rummage sale every year, if so please e-mail me some info.